Dr. Tomiyama completed his residency in surgery at Himeji St. Mary's Hospital and a Fellowship in Liver and Kidney transplant surgery at Baylor Regional Transplant Institute. He also completed a Research Fellowship at Thomas E. Starzl Transplantation Institute, University of Pittsburgh in the Department of Surgery and an HPB fellowship at University of Toronto. Dr. Tomiyama was deeply involved in living donor liver transplant and served as assistant professor at Kyoto University. 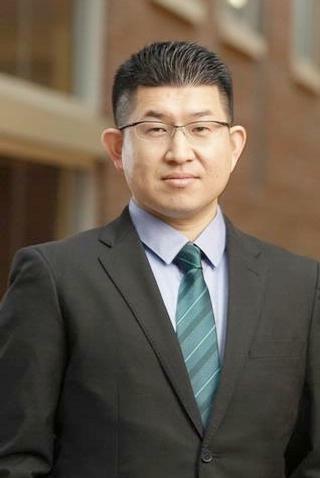 Dr. Tomiyama's clinical interests include complex HPB cases including in situ/ex vivo liver cold preservation, 3D simulation of liver surgery, donation after cardiac death (DCD) and live donor liver transplant. His basic research interests are primarily focused on liver regeneration and ischemia reperfusion injury. Throughout his career, he has published more than 30 peer reviewed articles as first and co- author and two book chapters on the subjects of live donor liver transplant techniques and cholangiocarcinoma. He has more than 15 presentations at International congress and one invited lecture. Goldaracena N, Gorgen A, Doyle A, Hansen BE, Tomiyama K, Zhang W, Ghanekar A, Lilly L, Cattral M, Galvin Z, Selzner M, Bhat M, Selzner N, McGilvray I, Greig PD, Grant DR, Sapisochin G. "Live Donor Liver Transplantation for Patients with Hepatocellular Carcinoma Offers Increased Survival vs. Deceased Donation." Journal of hepatology.. 2019 Jan 7; Epub 2019 Jan 07. Wanis KN, Madenci AL, Katherine Dokus M, Tomiyama K, Al-Judaibi BM, Hernán MA, Hernandez-Alejandro R. "The effect of the opioid epidemic on donation after cardiac death transplantation outcomes." Transplantation.. 2018 Sep 28; Epub 2018 Sep 28. Akabayashi A, Nakazawa E, Ozeki-Hayashi R, Tomiyama K, Mori K, Demme RA, Akabayashi A. "Twenty Years After Enactment of the Organ Transplant Law in Japan: Why Are There Still So Few Deceased Donors?" Transplantation proceedings.. 2018 Jun 0; 50(5):1209-1219. Epub 2018 Mar 10.